See the Cranes with the CBC! 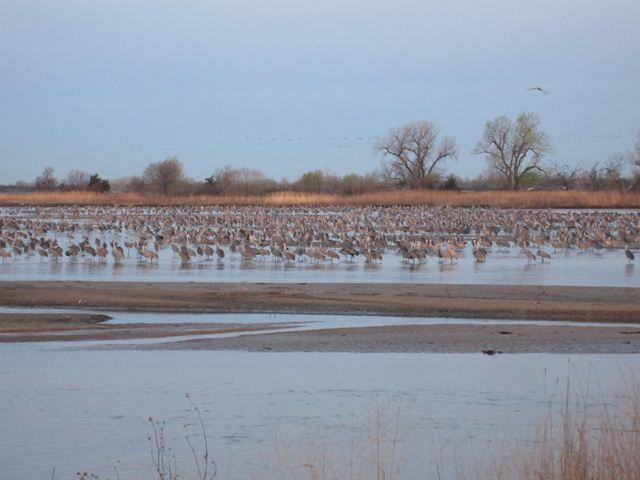 500,000 Sandhill Cranes. 80% of the world's population of Sandhill Cranes at one place and mostly at the same time. Considered one of nature's greatest migration spectacles. Sound exciting? Then come and join us! 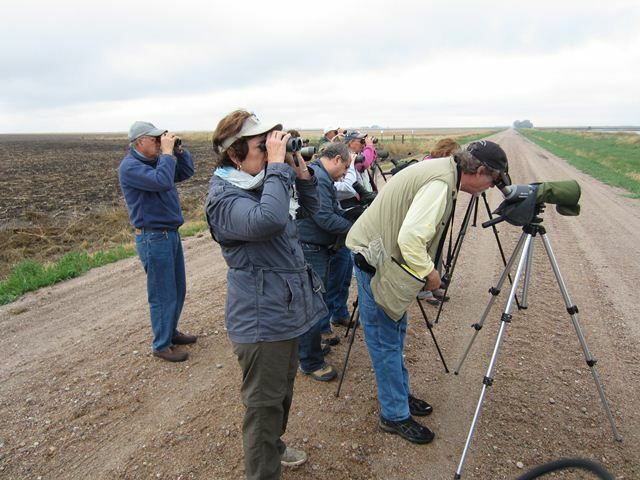 The CBC is pleased to announce the offering of a bonus trip to the Platte River Valley of Nebraska to witness the spring migration of Sandhill Cranes. 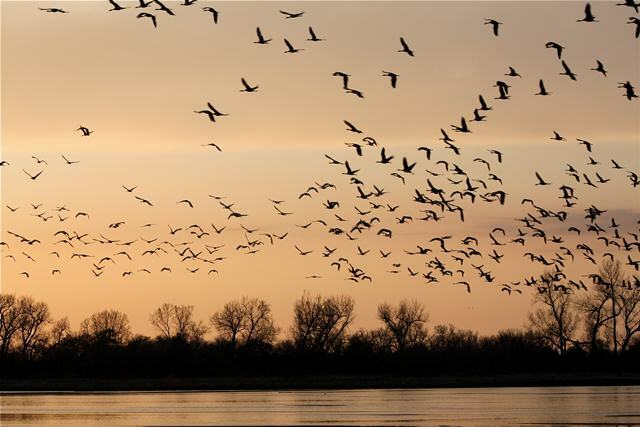 We will start from Omaha, Nebraska and bird our way to the section of Platte River between Grand Island and Kearney where hundreds of thousands of cranes await. 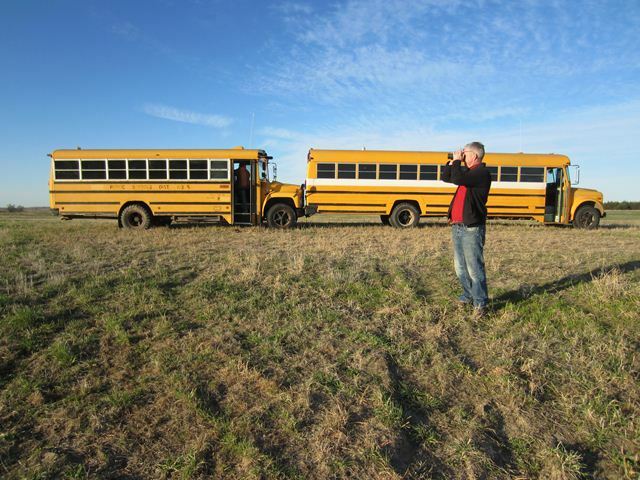 Among the abundant grey Sandhill Cranes we will search for the majestic white Whooping Crane. While rare, the Platte River is one of only a few places that Whoopers can be found with some regularity during migration. If we are super lucky we might catch a glimpse of an even rarer bird, the Common Crane. Cross your fingers! 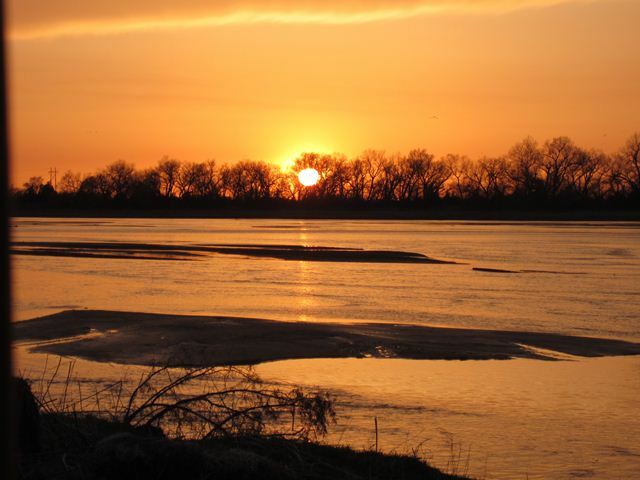 Evening will find the group tucked into a viewing blind along the river for an up-close and personal look as thousands of cranes arrive to roost in the river and on mid-stream sandbars. This should be an experience none will forget! Because the arrival of the cranes in the evening and their departure in the morning provide somewhat different experiences, we plan on a second trip to the viewing blinds Friday morning to watch the cranes depart for the day. 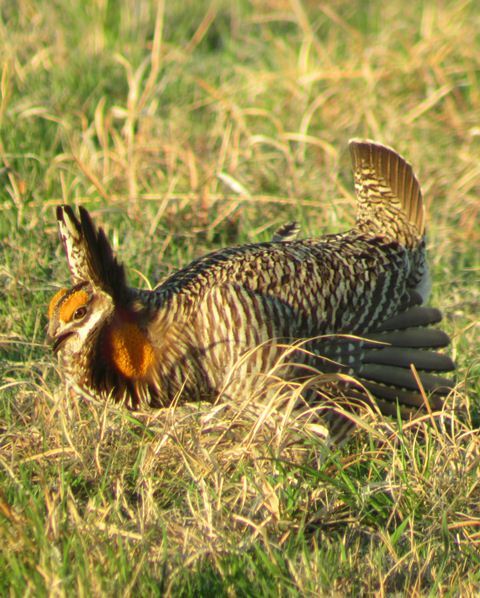 After thoroughly birding the river valley, we will head north into the Nebraska Sandhills to search out another of the iconic prairie birding experiences, the mating dance of the Greater Prairie-chicken. 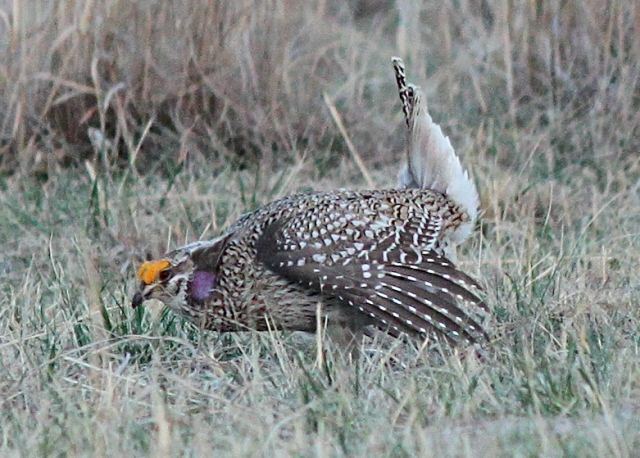 Each spring, as they have done for thousands of years, male prairiechickens arrive on communal display grounds called leks. Birds, sometimes by the dozen, display by inflating air sacs, dancing, and “booming”. We have reservations at one of the best viewing leks in the state. 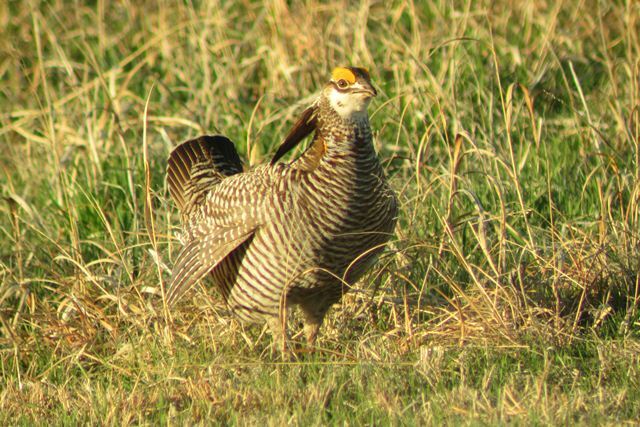 As we work across Nebraska we hope to build a trip list of birds that include targets such as Harris's Sparrow, American Tree Sparrow, Northern Shrike, Sharptailed Grouse, Rough-legged Hawk and more. The trip will start and end in Omaha, Nebraska. 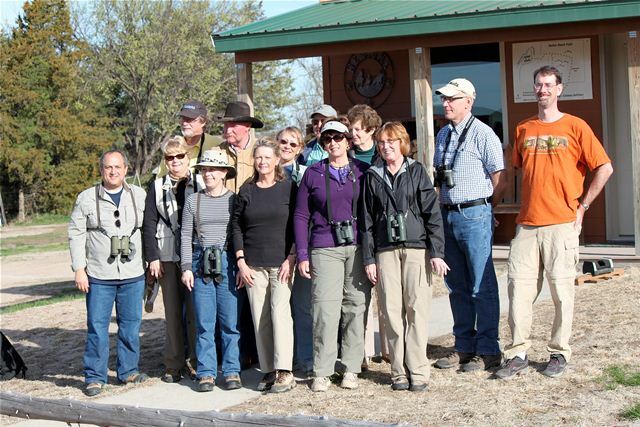 Included in the trip fee, estimated to be $650 per person, with a $225 single supplement, is lodging, ground transportation, entry fees, one dinner, at least one breakfast, and guided birding each day. Not included is transportation to/from Omaha, most meals, and items of personal nature. A deposit of $300 is due by December 15 with full payment by February 1. Full refunds are given if you must cancel up to 45 days prior to the trip's departure date. Cancellations within 45 days of departure allow for a refund if someone can be found to take your space. Old school buses make great viewing blinds!